Christmas gift ideas for your favourite bookworm! It’s the 1st December! Which means it’s now “acceptable” to discuss Christmas (although I’ve totally been doing this for the past two months). As Christmas Day is getting closer, you may be worrying what to get your favourite bookworm, but don’t worry, because Bookmark That have you covered with a variety of gift ideas ranging in price (affordable, though) – there’s something here for everyone. Fellow bookworms: if you want to drop a hint to your friend/partner/ family/ anyone/ everyone, just send them this link and go “OH THIS IS SUCH A GOOD IDEA”. Ya’ll are WELCOME. If you’ve received this link from someone, HINT HINT. This one is a given, of course. If they’ve suggested a specific book (and haven’t given in to temptation and bought it already), you’re sorted! A book makes a wonderful gift for a bookworm because A) they haven’t had to buy it themselves, B) you condone their hobby, C) it’s a story for them to get lost in! Even if they’re not a huge bookworm, there may be an autobiography that is of interest, or a subject which really interests them, such as an era in historical fiction. If your favourite bookworm has asked for books, but you’re not sure where to start, drop me an email with what genre they like, or a specific book they’ve loved, and let’s get you sorted with some recommendations – contact@bookmarkthat.co.uk! Price range £4- £20 (depending on style and whether there is a crackin’ Christmas deal on). What goes hand-in-hand with a good book? Why, a good cup of tea, of course! Whilst any warm drink or cold beverage will do (reading is thirsty work), there are so many bookish gifts you can give to your favourite bookworm. Whether it’s a tea caddy with a quote on from their favourite book/author, or literary inspired tea infusers or a bookish mug, the list is endless! I’m a big advocate of Rosie Lea Tea, as they have loads of tea selections and samples, as well as gifts and fun sets! They also do loads of accessories you need to get that tea warming your insides. Just check out these caddies (only £10). Coffee lover? Try this – Boots, £18. Hot chocolate lover? Try this – Boots, £8.50. Hot drink + a good book? Name something better, I dare ya. If you’ve been following my Instagram stories, you’ll know that I’m a HUGE fan of Reading in Heels. They mix beauty and reading to create a box delivered once a month with a book and extra goodies to make your next read very special. I’ve been on a rolling subscription for 4 months now and would not cancel it for anything. It’s super cheap and affordable and brings me an obscene amount of happiness every time I open it. I’ve had some books which I wouldn’t normally pick for myself and chocolate and tea and hand cream and a face mask and I JUST LOVE IT. I honestly find myself counting down the days until my next box. There’s also a subscription called Books Plus Beer, which you’ve guessed it, combines books and… BEER! Sign me up. Reading in Heels cost £10 + p&p every month (£12.40 in total), or you can get a subscription! A 3-month subscription costs you £38.40 if you’re in the UK, but you can get it internationally as well! Books Plus Beer costs £10 +p&p every month (£13.50 in total), and a 3-month subscription costs you £40.50. I own several copies of some of my favourite books, purely based on the cover style. I’m sure your favourite bookworm might be the same. Let’s start with collections: Penguin Clothbound Classics. I have a few of these and absolutely adore them, but they’re something I can’t justifying buying for myself, as they’re costlier than a normal copy. But they make the perfect gift because they’re all just so beautiful! You can get 3 classics for £33 here. Vintage have come out with editions of three dystopian books which are to die for. We’ve got 1984 by George Orwell (my all-time favourite read and the only book I’ve got from this collection… SO FAR), The Handmaid’s Tale by Margaret Atwood and Brave New World by Aldous Huxley. Now, these are very famous books in the dystopian genre, so the collection would look perfect on any bookworm’s shelf, and if they haven’t read them yet, it’s a perfect opportunity! You can buy the classics from any big chain of booksellers, and the RRP is £14.99 each. Buy them directly and check out the covers here. Finally, for this section, we have The Folio Society, who are just killing it with stunning editions of books. They vary in price because some copies are illustrated or limited edition, so if you’re looking to spend a little bit more, check out the shop, because oh my god if I had the money, I’d be buying everything. Whether it’s book-inspired or just a nice set of candles, you can’t go wrong. I use mine for decoration on my bookcase and have a different set which I usually light when I’m reading. For bookish candles, Night Light Candle have you covered. I adore this company because they really listen to what the customer wants, and they’re very good in price with stunning labels. 100% soy wax, meaning they burn longer, and smell lit? YES PLEASE. Candles vary in price, but you’re looking between £4.50- £7.50. Just google an author or a saying and put ‘pillow’ at the end and Google will sort you out. Perfect for when they’re in bed reading, or just for decoration! Pillows will vary in price, but check out Etsy or Redbubble, just make sure to check out the delivery dates, especially if they’re personalised. Why? TO HOLD ALL THEIR BOOKS IN PLACE! I’ve got some really gorgeous marble bookends coming for Christmas, but your bookends could be anything and everything! There are so many different ones available, you could get one with: dogs, books, bicycles, candles, dogs, flowers, dogs. Again, these will vary in price, and you can get them from smaller businesses, such as Etsy or Notonthehighstreet, or bigger companies, like John Lewis. Who doesn’t love a print? This one is a lot more personal, as a lot of thought goes into picking out a print. It could be a favourite book, quote or just an awesome print of a book cover or their favourite thing, but accompanied with a frame, makes for a very happy bookworm. Penguin have some cool classic ones here, or try Etsy for personalised ones. You can get a bigger one to hang on a spare wall, or a smaller one to have pride and place on a bookcase; prints are a wonderful and versatile gift! 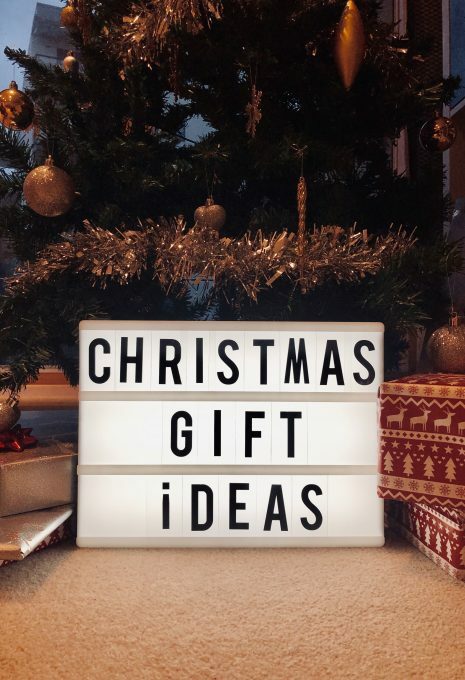 We hope this post has helped with gift ideas, and if you need help searching for anything in particular, get in touch over on contact@bookmarkthat.co.uk – always happy to find gift ideas! All the companies mentioned in this post have no affiliation with Bookmark That. They’re just companies I’ve tried and tested, and I wanted to share the products I’ve loved with you.